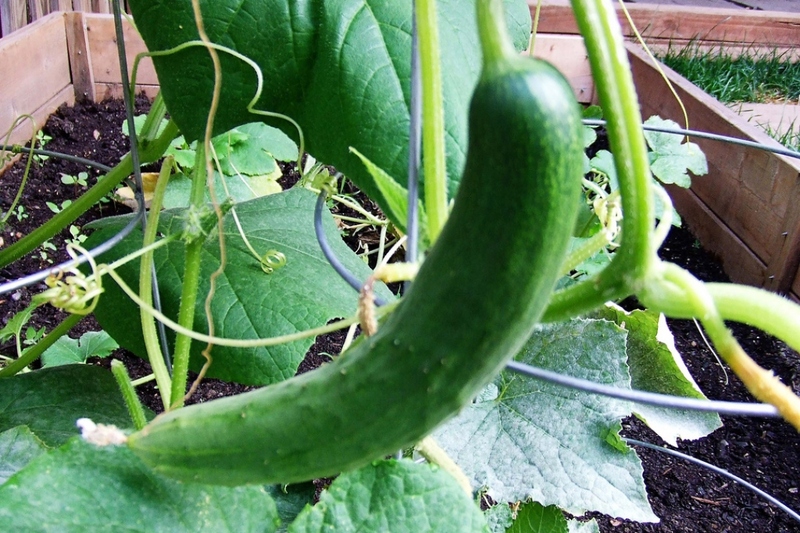 Cucumber ‘Long English’ (Cucumis sativus 'Long vert anglais'): growing, planting, caring. A very old English heirloom. Dark green 25 cm (14”) long fruits.